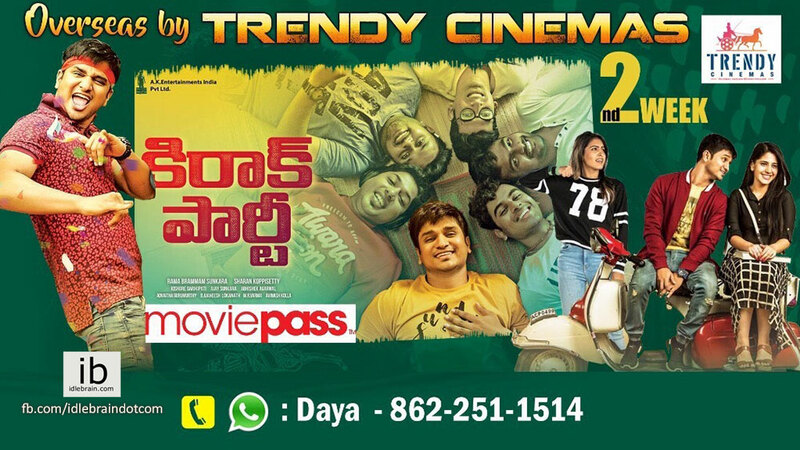 Trendy Cinemas last release "KIRRAK PARTY" has struck gold at Box Office and continuing its second week run at sweet 40 odd theaters in North America. 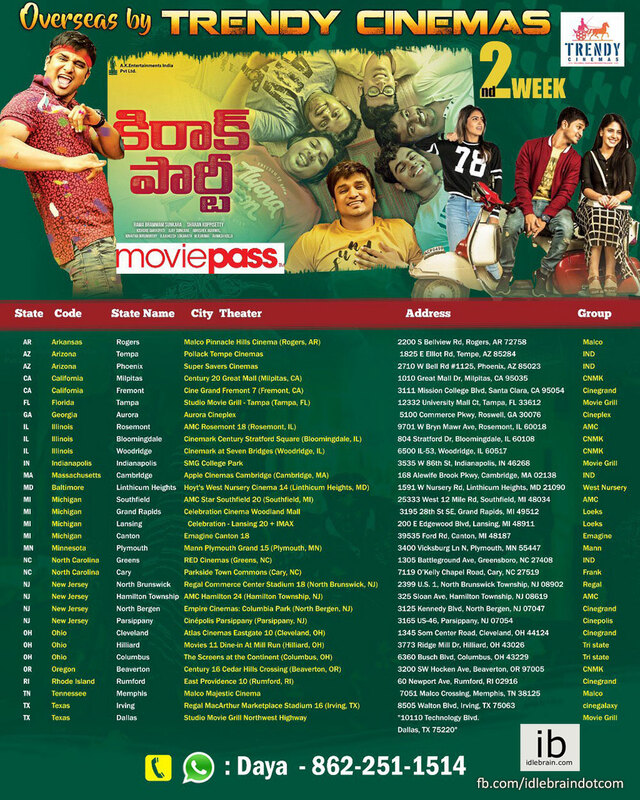 The movie has been loved by all the Telugu cinema movie lovers who have been waiting for this film. Millennials have embraced this college film that left them nostalgic about their college days. The climax of the film will leave you wanting for more. We are happy to share - All the earlier ticketing issues with MOVIEPASS and other offers have been resolved now. You don't wanna miss this film while it's still in theaters this week. Nikhil's portrayal of the character "Krishna" which has two different shades in this film has been praised by critics and all regular moviegoers. It comes as no surprise, this was his best opener at American box office till date. "I'm very fortunate to have been part of this film that’s winning so much love. People who have seen the film, please help spread the word and who haven't, head to your nearest cinema to experience this fun-entertaining college film", declared the star thanking the audience after the huge response to his latest outing. Director Sharan Koppisetti maturely handled this college subject who delivered one more hit to the star. Both the lead actresses performance was adequate and widely appreciated by all Telugu cinema lovers. Songs by Ajaneesh Lokanth are the biggest asset to the film. All you Engine-err and Graduate boys & girls, come let's P-A-A-R-T-YY again at your nearest cinemas !! We thank Anil Sunkara gaaru for giving us this opportunity to bring this movie to overseas and special thanks to all the audiences who continue to encourage good cinema.